Do you have nonprofit experience and a passion for facilitating synergy in humanitarian aid? 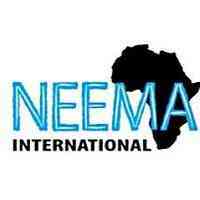 Who we are: Neema International is a nonprofit based in Uru, Tanzania that invests in the youth of Tanzania through several education-based projects. Note: This is a part-time, contract position that will only take place remotely. Digital literacy is required to coordinate with the team working on ground in Tanzania. This is a contract position that will pay by the hour at a competitive rate relative to the employees experience. To apply, email us your cover letter and resume. In your letter, emphasize your experience working with nonprofit partnerships. Please include your current availability, how many hours you can devote to our projects per a week.